Kenneth represents internationally recognized brands, retailers, developers, lending institutions and insurance companies in real estate transactions. Kenneth also serves on high-scale financings and oversees all office leasing for Odyssey Re Company, a $10 billion company, in North America. He has successfully completed leasing transactions in 26 states and in most major office buildings in New York City ranging in size from 1,000 to over 100,000 square feet. 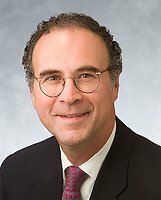 Prior to 2002, Kenneth was of counsel to the New York law firm Piliero Goldstein Jenkins & Sullivan, LLP and counsel to the New York office of the Chicago-based law firm Mayer, Brown where he represented banks and other institutional lenders, developers, insurance companies and manufacturers in a myriad of real estate transactions. Kenneth was also a real estate partner at the New York office of the international law firm Marks & Murase, where he worked with many foreign clients establishing offices in New York. He has over 35 years experience in commercial real estate law, including the acquisition of office buildings, hotels, golf courses and shopping centers, the formation of joint ventures for the purchase and management of real estate, leasing and construction and permanent financing. Kenneth is admitted to practice in New York and Massachusetts and is a member of the New York State Bar Association, where he has been a member of the Real Estate Law Section since 1984.